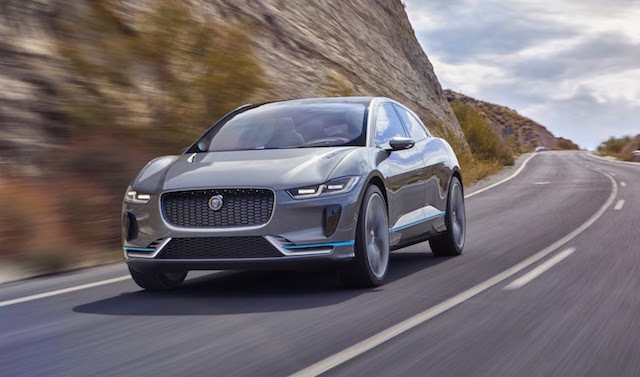 Jaguar chief designer Ian Callum says of the battery-electric I-Pace concept the British carmaker expects to put into production in 2018: “This is probably the most important car since the E-Type, I really mean that. 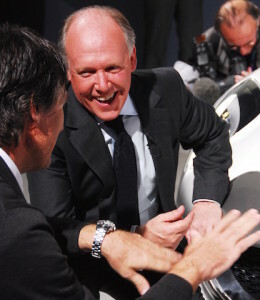 “And when we get this car out into production and it gains recognition and popularity, I think history will show it’s a significant step for the brand. 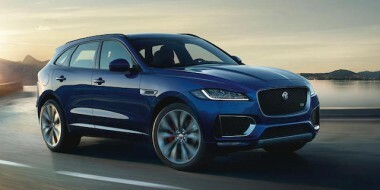 I-Pace arrives hard on the heels of the F-Pace SUV and marks Jaguar’s most robust production offensive ever as it attempts to double global sales. 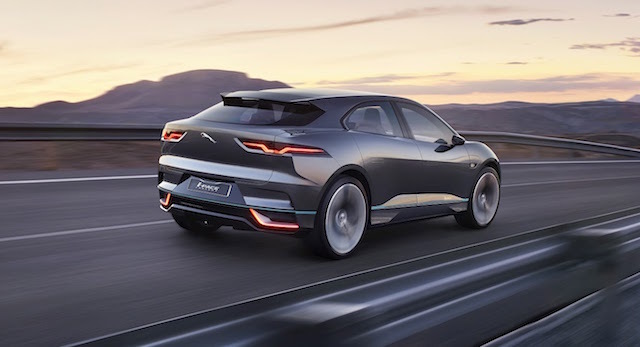 The production version of I-Pace will be all things to all people: a five-seater sports car; a performance car, a family car and an SUV, says the company. 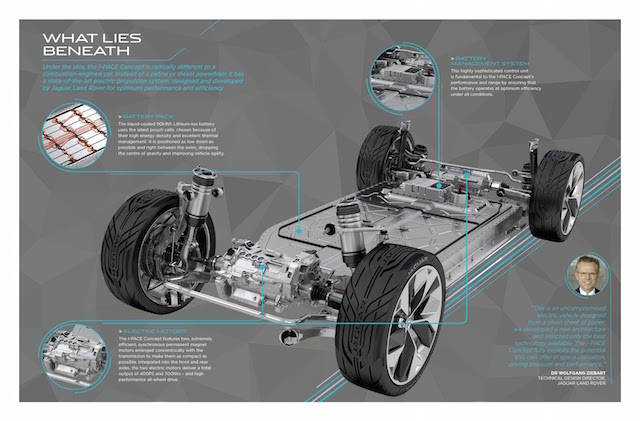 Its all-wheel-drive powertrain consists of two compact electric motors developed in-house by Jaguar Land Rover and integrated into the front and rear axles. The motors are fueled by a battery pack good for a range of 500km, says the company. A full charge will take just over two hours. Expect 300kW/700Nm, a 0-100km/h time of four seconds and the same suspension set-up as the XE, XF, and F-Pace. 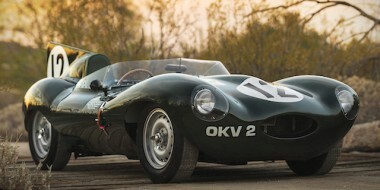 Jaguar says its engineers worked on making the concept a true driver’s car while working with stylists to usher in a new interior design language focusing on features that blend digital craftsmanship with mechanical precision. Says Callum of the I-Pace design: “I had in my mind for a long time to take something as normal as an SUV and turn it into something that’s dramatic and cool. Because on the whole, they tend to be very vertical things. “To get the mass out of that verticality, you just make sure all of your lines go horizontally. That way, you can really get some visual speed in it. It’s easier to do it in a car like this because you’re not constrained by hard points the way you are in a conventional car. “We went for the cab forward because, without an engine up there, we could – it gives you more space inside and it’s more honest. But also you have to get that sense of drama and tension. 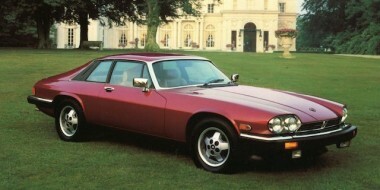 Callum has been praised worldwide for the way he has interpreted Jaguar’s sporty design heritage with cars like the XJ, or F-Type, for example. But he’s not locked into the past. “I don’t think it matters. I think people get hung up in this too much,” he says.